Viewing classic African art in situ helps us appreciate the traditional context, meaning and accompanying surroundings framing each piece. Part I of ‘In The Field’ explored the prestige objects of palace life in Cameroon. 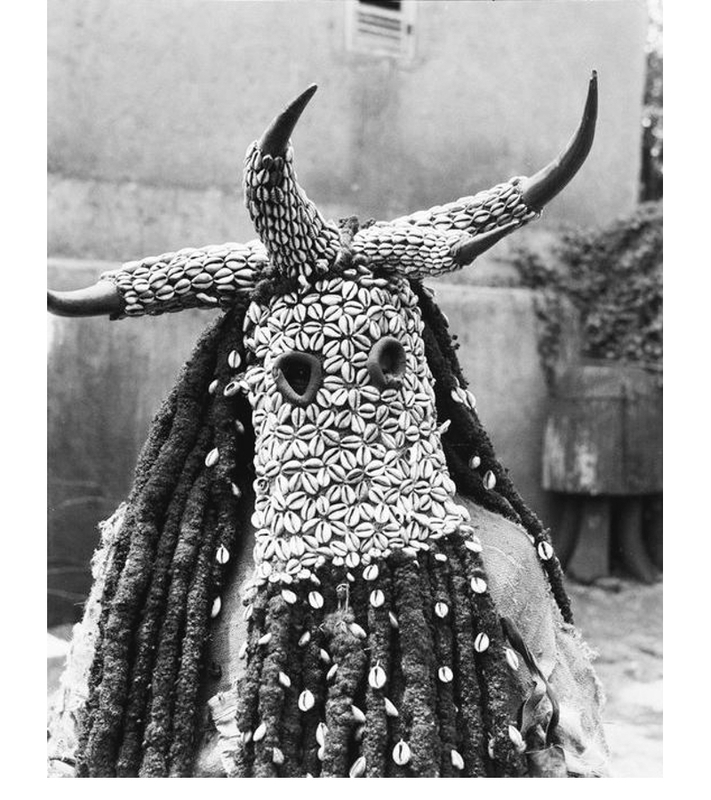 Part II delves into field photos of Cameroonian festivals and ceremonies to give us a glimpse into the relation between masks, celebrations and community. 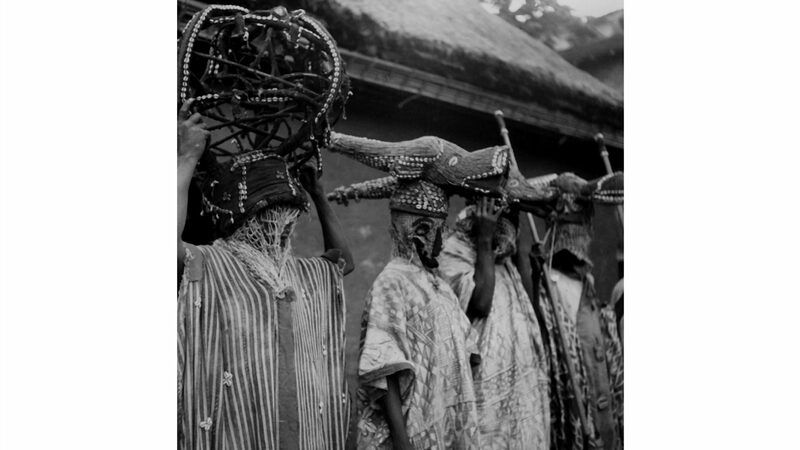 Performance of Bamum masquerades, wearing Tu Ngünga funerary headdresses during the patambuo festival in Fumban. 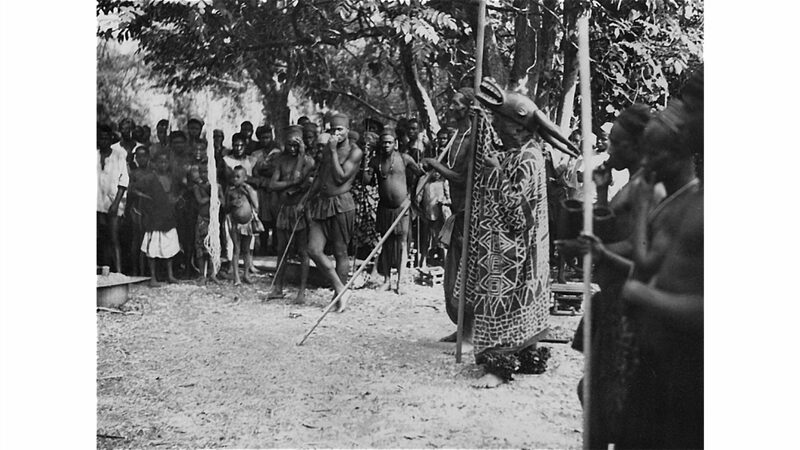 The patambuo festival was instituted by fon (king) Njoya in 1910 to feed and reward plantation workers. The masquerades provided entertainment during festivities. 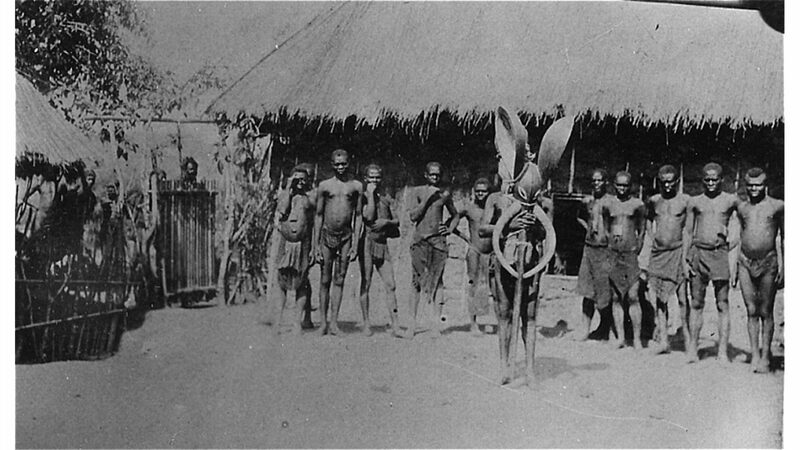 An elephant headdress is held in this field photo. Animal masks are danced at memorial services for the dead. Found in all parts of the Cameroon Grassfields, this elephant headdress would have been for the sole use of the fon or other members of royalty (the elephant is considered a royal animal). Worn horizontally on the head the elephant masquerader is the first to appear during village ceremonies. 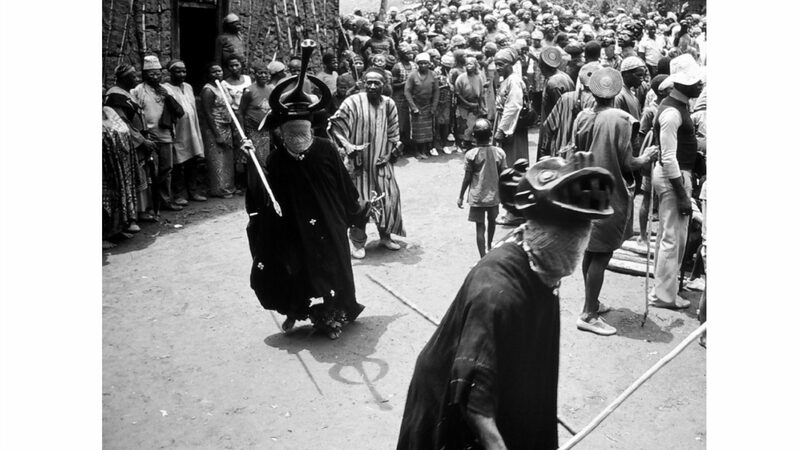 A dance of a mask society during a death ceremony in Mboh Oku, Northwest Province of Cameroon — an elephant headdress is danced with a mabuh running headdress to herald in the Kwifon secret society, drive away non-initiates, and prepare for the arrival of the terrifying nkock mask during funerals or commemorative ceremonies. 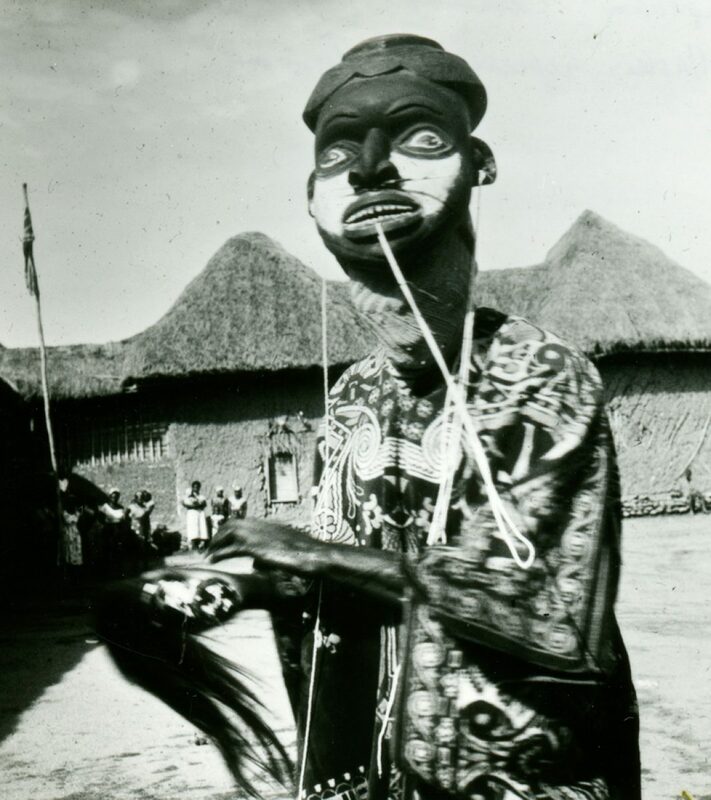 As with the elephant mask, buffalo masks are danced at funeral services but also during nja harvest celebrations across much of the Cameroon Grassfields. The buffalo’s strength, courage and power are viewed as attributes fitting of the fon, however the buffalo is ranked below the elephant and leopard. Beaded buffalo masks during a Bamum nja harvest celebration. Akam (a leader mask) at a death ceremony in Jinkfin Kom, Northwest Province of Cameroon — every masking society in the Cameroon Grassfields possesses a leader mask (called kam or akam). Carved in the form of a male head, the headdress is worn flat on the head of the masquerader. Human hair, glass beads and cowries shells are sometimes attached to masks and masquerade costumes. 'Medicines' to prevent any effects from bad magic 'juju', are also sometimes attached to the costume of the dancer. 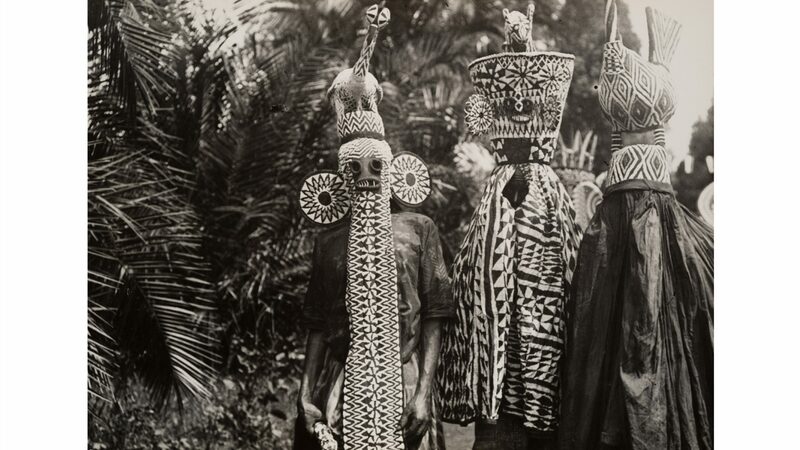 Three djougous (medicine men) in dance costume, wearing crests representing animals. 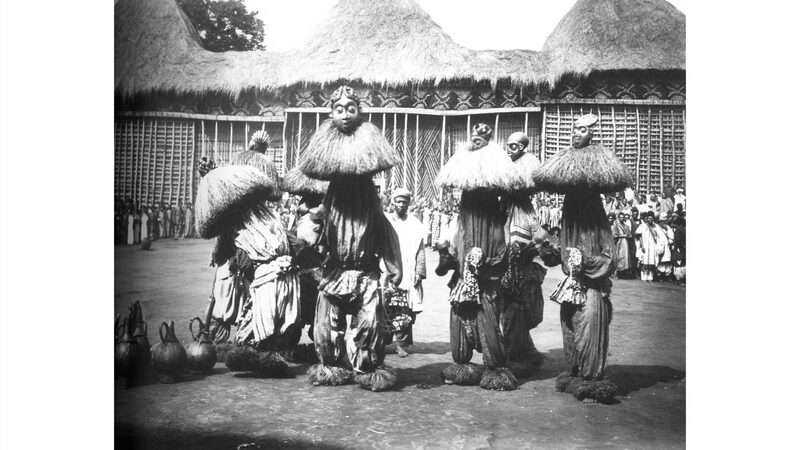 The masquerader on the left wears the mbap mteng elephant mask reserved for members of the Kwosi association of Bamileke warriors and wealthy chiefs. Mbap mteng masks are typically worn during tso elephant ritual dances, bi-annual cultural festivals and at funerals of kings and dignitaries. This Bamileke man in the town Batoufam wears a kungan society mask called kunga. These masks are worn during the entronement ceremony of a new fon. 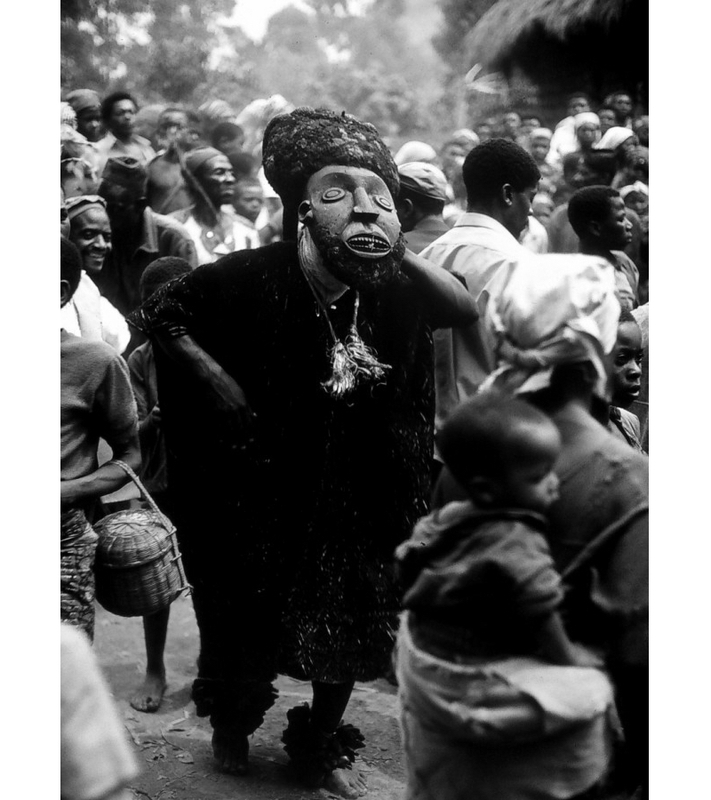 Bamileke masquerader wears a yegue mask of the Ku'ngang society, the most important secret society of the Bamileke. The society is responsible for the fertility of the community and protection against evil spirits and bad 'magic'. 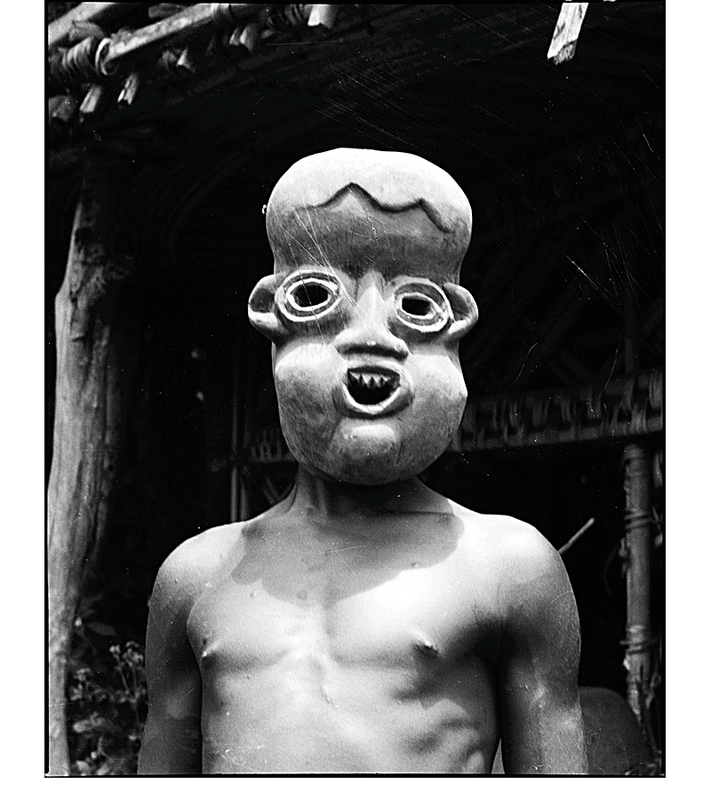 It is believed that once a yegue mask is worn, the wearer can transform themselves into their spirit animal. So sacred and dangerous are these masks that they are only allowed to be viewed by non-initiates from afar.